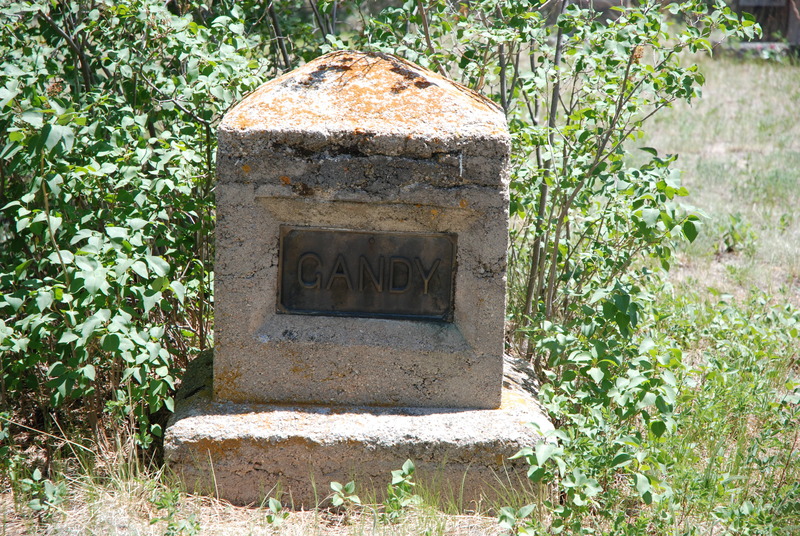 The Gandy ranch was filled with children, horses, cattle and potatoes. Henry Harper Gandy came to Douglas County in 1884. He started renting an existing farm and soon decided that it was the place for him. He bought the place and made proof on it for his homestead, in 1891, starting with 160 acres. Henry and wife Mary (Smith) had eleven children. Their eldest child, Lewis died in a flash flood in August of 1887 while at school playing outside at recess. All of the children’s names begin with the letter “L”. In 1903 Mary died in childbirth with her eleventh child, Leah. A few years later Henry, now 47 years old, married a widow, Augusta Sweeten, who had a son named Edward. In 1913 Edward married Lydia Mary Gandy, his step sister. Henry loved to work with horses and spent a great deal of time breaking colts. But a busy ranch like his had much more work to do and Henry’s time was also spent in the planting and harvesting of a fine potato crop. The area was, at one time, known for its potatoes. Henry’s ranch also had its own blacksmith shop, smoke house, chicken house, several barns and a spring house to help keep milk and cheese cool. Henry stocked up on ice in the winter months and this, also, helped to keep food cool during the hot summers. Ice could be wrapped in straw and kept in a cellar cooling food for many months. Watermelons also were grown on the ranch. Over the years Henry found time to help install the telephone lines and helped establish county roads, a job that he had in the Colorado Springs area before coming to Douglas County. Henry also helped to start the Spring Valley Cemetery and was a member of the school board. He sported a long white beard and found it quite natural to take on the role of Santa during the holidays. He enjoyed playing the violin and harp and at least one daughter also was musically inclined and played in a small group. Before Henry sold his ranch, in 1945, he had accumulated 1,100 acres of land about six miles east of the town of Greenland. The census records show that Henry actually lived in Spring Valley. In 1895 he purchased his neighbor’s ranch, the Stewart’s, then in 1898 he purchased 100 additional acres to add to his holdings. Henry died at his home in Littleton in 1949; he was approximately 89 years old. 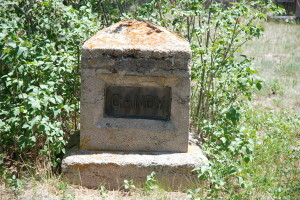 This is the Gandy marker at the Spring Valley Cemetery. Thanks to the Colorado Historic Newspaper Collection; Douglas County a Historical Journey, by Josephine Marr; Our Heritage the People of Douglas County; Douglas County marriage index of 1864-1925; US Federal Census records; and the Biographical Record.